Somewhere along the way, all that fantasizing about renovating an Italian villa started to get a little, well, addictive. Then we started wanting something harder and our craving led us to actually looking at ‘for sale’ houses with a real, live agent. 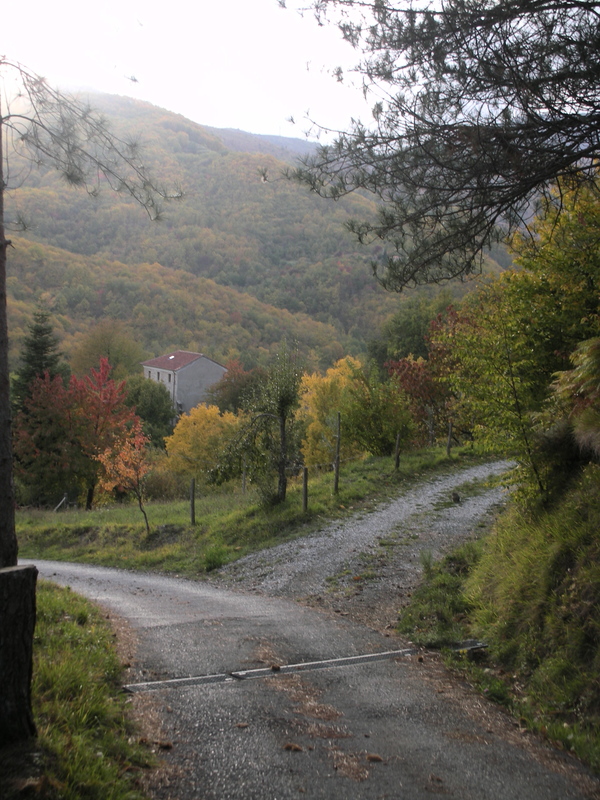 Even that might have remained a kind of souped-up form of entertainment had she not taken us one day down a rumpled laneway near Scurtabo, in Liguria…It was a classic, tree-canopied lane, with dappled sunlight on rutted ridges winding tantalizing out of sight. Right off the bat it felt magic. The lane led down a slight slope and past a rushing creek; after the bend, it opened up to a small hay field and continued to an old stone shed with roses, hydrangea and rosemary in wild profusion alongside. Beyond that, a large, handsome cherry tree, crazed, unkempt shrubberies, and The House: a great, three-storey lump of semi crumbling stone engulfed by ivy. The building was not a thing of great beauty. However – at the front door was a stone terrace. And off that terrace was a view of the entire valley: vast, pristine, and breathtaking. The house sat on the furthest most point of a promontory, the last structure before the land tumbles down towards the valley below. Every room in the house has a piece of that stupendous view, a breath of its pure air, the music of its silence. It was place more than structure that made us fall in love. The Italians have an expression for it: colpo di fulmine – a lightening blow to the heart. It was unequivocal; the house was ours before we ever signed a thing. Beautiful writing, especially the last two paragraphs. So moving. It sold me!